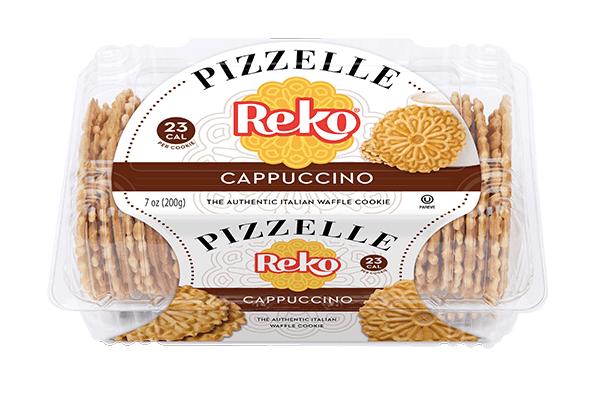 Just as if you had made it at home, our Cappuccino Reko Pizzelle cookies is our newest addition to our Pizzelle cookie line up. 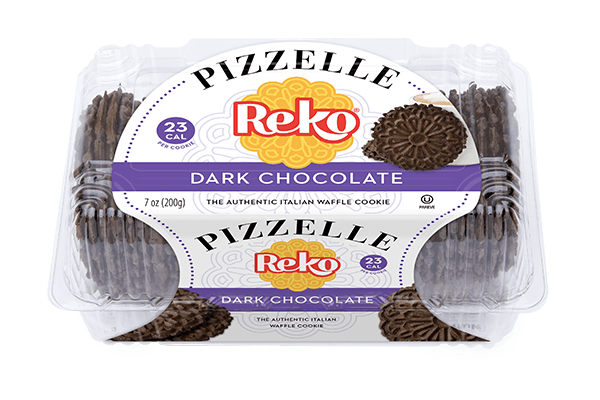 It makes the perfect treat for coffee and cappuccino lovers everywhere. Enjoy! And deliciously addictive. Better still, they’re only 23 calories each. 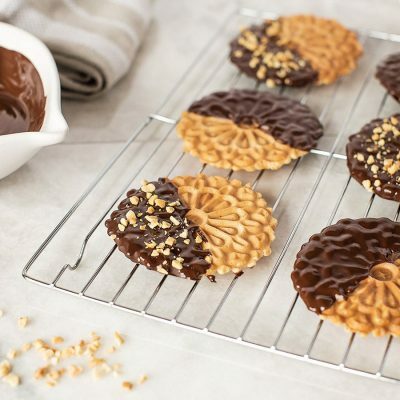 And if you’d like just a hint of sweet, you’ve found your cookie. Delicious on their own, Reko Pizzelle cookies also serve as an enticing blank canvas for your own culinary wizardry. 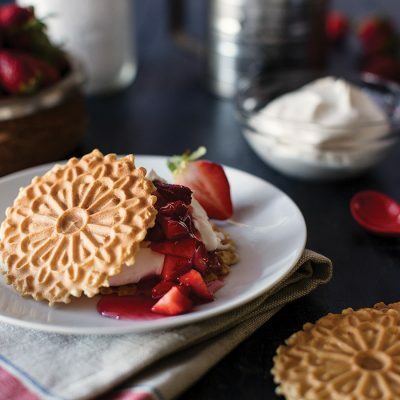 See our recipe ideas below or create your own. 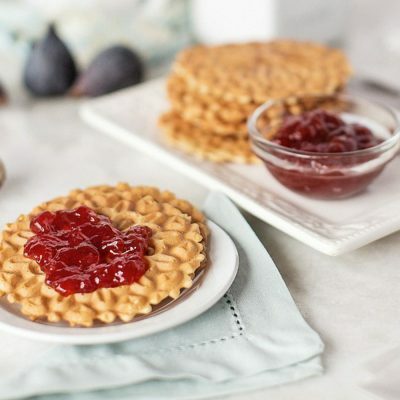 Flour, Sugar, Liquid Whole Egg, Canola Oil, Coffee Cappuccino Flavor, Soy Lecithin, Caramel Color, Baking Powder, Salt. Flour, Sugar, Liquid Whole Egg, Canola Oil, Coffee Cappuccino Flavour, Soy Lecithin, Caramel Colour, Baking Powder, Salt.